Make an outward statement about your love of spiders, your current attitude, or just get festive with my Black Widow Spider Pendant. 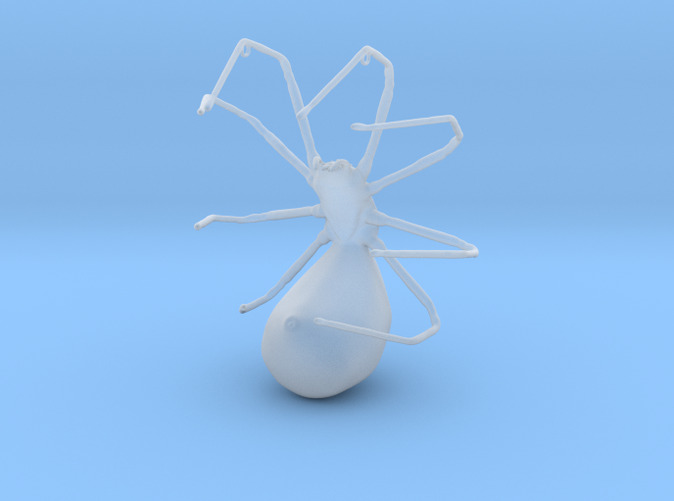 The life-sized, but appropriately small Black Widow pendant depicts the Southern Black Widow in it's common defensive stance. Pointing fangs and spinnerets at would-be attackers. The pendant can be strung on any chain or string <=3 mm in diameter by the rings under the front legs. The pendant is currently only offered in plastic, as the metal versions are still in production. However, in the very near future this Pendant will be offered in several metals including Matte Black Steel and Polished Silver.